Canadian, and now LA-residing, singer-songwriter Joseph of Mercury (AKA Joseph W. Salusbury) is making a splash with his spectacularly malleable vocals, lushly glamorous pop-oriented songs, and attractive, cinematic music videos. He just bowed the rich piano ballad Angel, along with a retro-‘50s music video. 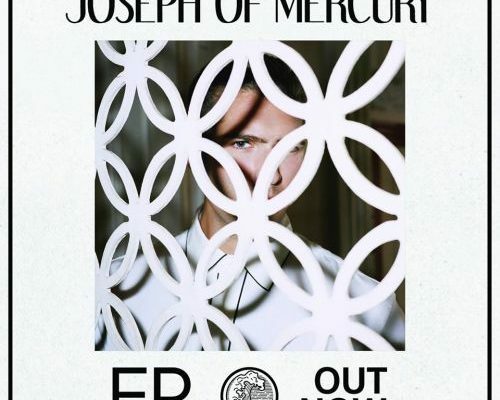 Joseph of Mercury strips it all back, however, on a haunting and reflective live-in-the-studio rendition of his alluring indie pop track Without Words. The original song is off the artist’s recent debut EP, titled Find You Inside. His newly recorded version of Without Words is presented in the music video format and is a relatively straightforward performance clip with Joseph sitting on a piano bench, strumming his guitar, and emoting for the camera. Shot in simple black and white, with Joseph slowing down his vocal delivery, singing in a yearning tone, and pondering his words, the song – and Joseph – mesmerize completely. If you enjoyed Without Words, check out the official website for Joseph of Mercury by clicking here. Give him a like on Facebook by clicking here. Feel free to give him a follow on Instagram by clicking here & on Twitter by clicking here. Most importantly, pick up a copy of his recent debut EP Find You Inside by clicking here.